The regular NFL season is back and we are here to provide you with our AFC South Week 10 preview. So let’s take a look around the division at the Week 10 match-ups. We also give you our score predictions and the latest on injuries and betting lines. 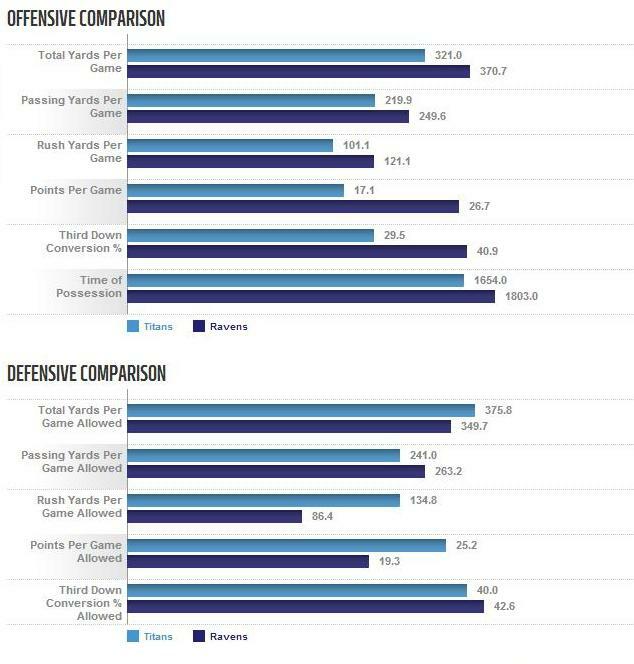 The Ravens secondary is a mess but the Titans isn’t much better. The numbers just look a bit better because teams are choosing to run the ball, at will, against the Titans. They will face a formidable Smith brothers combination in Steve Smith and Torrey Smith. Vegas has the Titans losing by at least 10 and they are dreadful ATS this season. Even worse, they are 1-6 straight up in their past 7 games. The Titans need to play mistake free football and take advantage of a struggling Ravens secondary. Ken Whisenhunt has come under fire from some over his first year coaching performance and he could certainly silence his critics with a good performance in Baltimore. The NFL would dearly love a team in London. Perhaps showcasing one of it’s worst teams isn’t a good move. We suspect the NFL knows this is true. This is the second year in a row the Jaguars have gone to London and they will go next year too. The last game there they lost 42-10 to the San Francisco 49ers. The Cowboys have lost 2 in a row but Tony Romo is probable for this Sunday’s game. It seems risky to allow him to play but when did Jerry Jones ever do anything sensible? The Cowboys are the better team and Brandon Weeden game managing with the help of the best running back in the league in DeMarco Murray should be enough. The Jaguars have turned to rookie quarterback Blake Bortles who has shown flashes but can’t seem to throw the ball to the right team. He has thrown 8 touchdown passes to 13 interceptions. 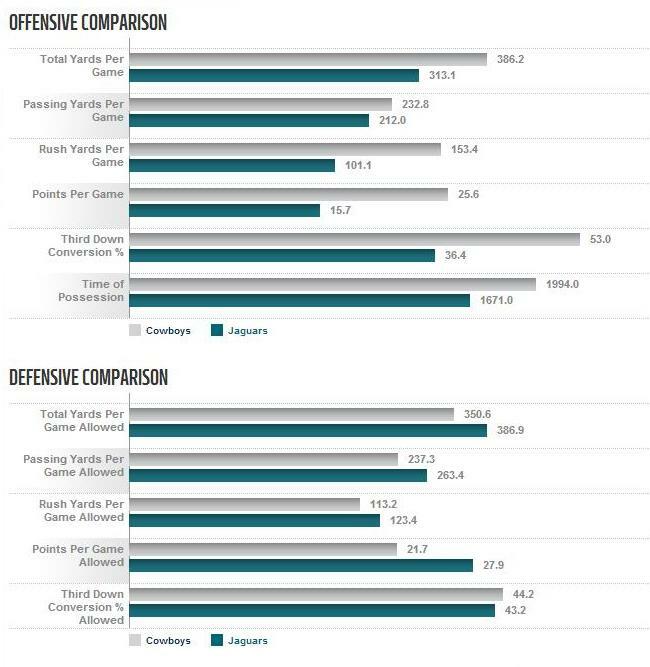 The Jaguars are an overall better team with Borles under center but he has to quit turning the ball over for them to have a chance. The Indianapolis Colts and the Houston Texans are on their bye weeks.